Hello and welcome to the first expedition diary entry of 2018 for our Arabia expedition to the Dubai Desert Conservation Reserve (DDCR). 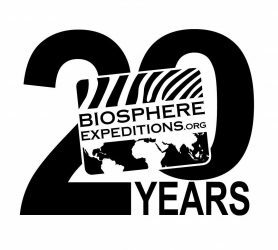 I am Malika Fettak, Operations Manager at Biosphere Expeditions, and also your expedition leader for this expedition. I’ve been on this project from the very beginning back in 2012 when we gained our first experience of driving in soft sand (and digging cars out) and I am by now well-versed in the challenges of walking dunes, setting live & camera traps and running a desert camp. Over the years the study area and wildlife populations have developed significantly and I hope you are as excited as I am to take part in a genuine research & data collection expedition soon, living and working within the magic desert landscape that is the Dubai Desert Conservation Reserve. We are very grateful to Greg Simkins (see below) for hosting us on this expedition and for being our expedition scientist. We are also very grateful to Al Maha Desert Resort & Spa for helping with the logistics, especially delicious meals, and to Platinum Heritage for their support of our conservation activities. You’re in for a treat mid-week when they host us at their desert camp. I’m in the final state of planning and packing up. I fly out to Dubai tomorrow from Germany. At Dubai airport I will meet up with Paul Franklin (flying in from the UK) and together we’ll proceed to our DDCR camp straight away. Paul & I will team up as expedition leaders. Paul has led other expeditions before and I’ll show him the ropes on our Arabia project. 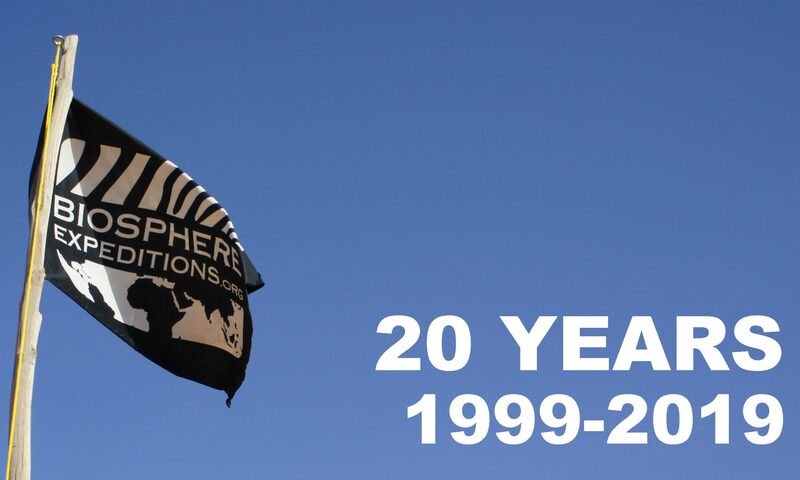 More about us is on the Biosphere Expeditions website and more about other key people you will be meeting on the ground, the camp, weather conditions, etc. will follow soon. Now time to rake Greg over the coals! He’s had staff issues and been a very bad boy by only submitting his 2017 expedition report to us today (instead of six months ago!). This means we only have an unedited, un(peer)reviewed draft so far, which you can view/download here. It does detail results of 2017, however, and the thrust of this expedition as a result. I suggest we all tut-tut at Greg profusely over the next few days. The more tutting, the earlier the report for this expedition, we hope. See you soon and I will be in touch with more details, including a local phone number for emergencies, once Paul and I have hit the ground. Previous PostPrevious We have flipped the switch!